Read the latest data along with our recommendations to get the most out of your upcoming 2018/2019 Hawaiian vacation. Hawaii tourism just announced 2018 first half numbers. From January through June, visitors spent $9.3 billion, an increase of 11% compared to same period in 2017. A very strong summer season is in process. 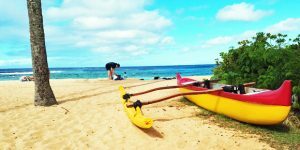 “Hawaii’s peak summer travel season began with a strong month of June. 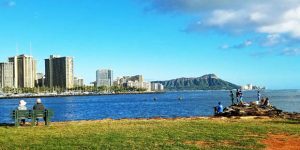 All of the islands recorded double-digit increases in visitor spending, except for the island of Hawaii, which was down by less than one percent….” George Szigeti, President/CEO, Hawaii Tourism Authority. In June, visitors statewide grew 7.3% and spending increased 10.3%. Higher hotel prices and unprecedented vacation rental growth. 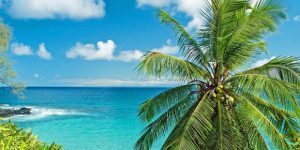 Hotel room costs increased across all the islands in the first half of the year. Prices increased on average to $280 nightly, up 6% over prior year. Hawaii hotel occupancy ranked among the highest in the US. Hawaii vacation rental growth significantly outpaced that of Hawaii hotels. In the first six months of 2018, there was more than a 20% increase in vacation rental demand, while hotel growth was single-digit. This is largely due to better value paradigm associated with vacation rentals. We know that from personal experience. Last month we stayed at a licensed Airbnb rental, in a Diamond Head/Waikiki oceanfront resort. Cost including all fees, housekeeping and taxes was $186 per night. That was nearly a $100 savings off the average Hawaii nightly hotel rate. Mind you, you aren’t going to get oceanfront for $280 in a Hawaii hotel, nor are you going to get a full kitchen. We recently wrote Hawaii Vacation Rentals vs. Hawaii Hotels | 20 Helpful Tips. Reasons to visit Hawaii in off-peak seasons (winter, spring, and late summer through fall). 1. You can anticipate the best possible Hawaii vacation experience. 2. Spring and fall often have the best Hawaii weather. 3. There are fewer visitors to contend with. 4. Costs during off-peak and peak-shoulder seasons will be lower across the board. 5. Availability will be greater for airfare, accommodations and car rentals. 6. There will not be the long lines we have been experiencing during peak periods. 7. You’ll find more flexibility for last minute planning. Tips for peak seasons (spring break, from mid-June to mid-August, Thanksgiving and Christmas/New Year holidays). 1. Use shoulder periods/dates. When traveling at peak seasons, try to come in mid-August, rather than June. At holidays, travel on the holiday days themselves (Dec 24/25/31 and Jan 1). 2. Book airfare as early as possible. 2. Reserve accommodations up to a year in advance, since the best choices will be sold out very early. 3. Get a rental car reservation as soon as you know your travel dates. Otherwise those too will either become extremely expensive or be sold out. Updated 8/2/2018. Beat of Hawaii photo on Molokai. Excellent advice on best travel dates and periods that bears repeating. Date flexibility makes your vacation so much more affordable. Plus May and Sept have fabulous weather! We are looking to bring our kids and grandkids to meet family in Hawaii. We would be traveling from ROC and RDU. We are excited to show them where Tutu grew up. We were thinking of spending time on the Big Island and Oahu, where most of the family lives. Any suggestions for family friendly accommodations and best times to fly? Mahalo for your help. Our best guidance on your questions is found here: https://beatofhawaii.com/the-cheapest-time-to-fly-to-hawaii. Please have a look and if any questions remain, let us know. We are interested in traveling from Rochester, NY to the Big Island and to visit family on Oahu in 2018. We heard fares will be cheaper because of Southwest starting routes to Hawaii. When should we look to book a flight? Airfare is still around. $700!! Any ideas if this may drop? Should come down somewhat. But there are unknown variables like new HA flights and SWA. August 6 is definitely high season. 17th is not. Suggest waiting, if you’re comfortable doing so. Target price is in $500’s, but we can’t promise that will happen. We are traveling to Kauai Aug 1st thru 10th from Phoenix, AZ. Could you please advise what is the lowest fare and shortest time in transit, carrier for these dates? 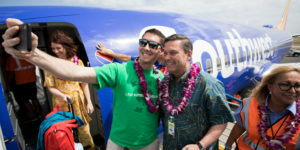 Should we wait to hear if Southwest is going to fly to Hawaii from Phx? Our kids are meeting us there and they are flying in from San Diego. We are trying to coordinate flights so we get there around the same time as we will be sharing a rental car…give or take a couple hours. Thanks so much in advance! Currently just over $700 and nonstop is on American. New flights may be added and it is at least a possibility that SWA could be here. These are variables no one knows answers to at the moment. You can choose to wait and see, in which case we may know more between now and say May. Availability isn’t likely to be a problem, but we can’t say that definitively either. 4 of us will be arriving in Oahu May 28.First time to Hawaii and so excited!!! Where is the best place to rent a car in Oahu? Thanks in advance. Not sure just how we can help. 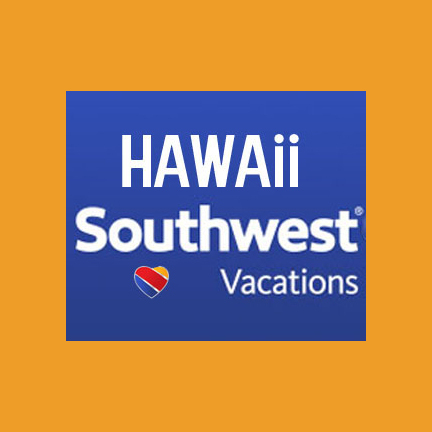 Airport or Honolulu/Waikiki city locations. We often use Discount Hawaii Car Rental which was suggested to us by readers. We are (2) travelling (5th trip)to Oahu 6 to 20 May 2018. I am very much interested in the lower airfares, but have yet to see them via carrier websites (american, Delta of Hawaiian), even for travel dates in Feb 2018. If such fares are unpublished, are they only avail via telephone with a ticketing agent? Our origin cities are Boston MA and Orlando FL. All fares we publish are available for on-line purchase only via the airlines or online travel agencies. $845 RT for your dates with good connection. If you can go and return one day later you’ll save about $110. $700 will be about as cheap as it will get under any circumstances.